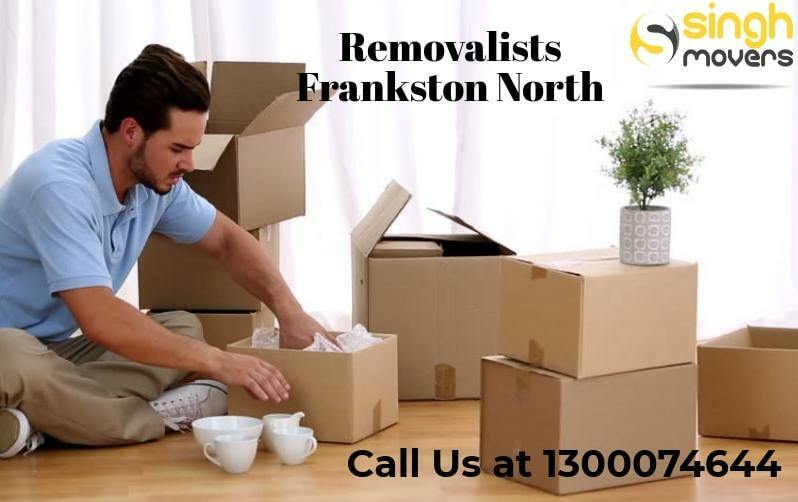 Relocating is quite annoying however Removalists Frankston North never make you feel so. When it comes to locating your things a cold war starts in your mind. Right from organizing to other process everything retains some difficulties. No matter what type of relocation it is getting the hands of professionals reduces burden as such. You don’t want to stress yourself at any occasion once after connected with packers and movers service. We are the steering Moving Company Melbourne who will offer safest and proper relocation service irrespective of its complexity. We know how precious our customer’s belongings are off that’s why moves it carefully. Our well-organized packing and moving let you have a stress-free relocation. Just because we offer lesser cost service don’t think that our service is quite low. We have several years of experience and you’ll be offered with unmatchable service. We’ll always beside you until the process gets the end. Thus we take all the services such as wrapping, shifting, loading, unloading and so on. We have accurate boxes, wrappers and many more things to carefully assign and move your things. We totally leave the way of confirming your appointment to yourself. You can do call, mail or online appointment. Use any of the possible ways to connect before the due date of the relocation. After your appointment confirmation, our team members along with the manager will come and visit your location. They will look at the belongings and make a rough estimation over it for optimistic relocation. According to Removalists Melbourne, proper planning will make even complex relocation as an easy one. That’s why we make a proper plan and recognize which are all the things wants to relocate. Once we analyse then our professionals will create a detailed checklist which consists of the complete belongings. Even without leaving a small file to large tables all will come under this checklist. We will head to start once after you grand the permission. Only you let us do the relocation process only our expertise and professionals move with the flow. Our noticeable and main process is shifting. We initiate this process just from the tiny to the heavyweight goods. We facilitate our customers in each step such as shifting, packing, moving, and relocating and many more. Based on the requirements of our esteemed customers we offer an appropriate quote. We are considered as both home and industrial packers and movers. Our professional packers and movers are efficient works who offer personalized service to the best. We are offered with the end to end service at the affordable cost. We thrive with latest technologies which help us to proffer dedicative and 100 customer satisfaction. We have the vision to make every packing and moving we take in a world-class level. Our packers and movers achieve it easily in an error-free manner. No matter about the type of relocation we commit we offer additional protection. Especially for the things which are highly valued and precious will be properly handled. We know how much you spend on your belongings so alone we cover it with proper layers. Our packers and movers of Interstate Removalists Melbourne are skilful persons who will load your belongings in the accurate vehicle and then our staff has an eye even on the transportation till it reaches the destination safely. Even though its popular removalist service they never leave you without getting an additional price. Unlike that Budget Removalists Melbourne ask for the cost we worked for narrowly then you will get the service for what you paid. We charge the exact amount as per our estimation. When we tell that no additional cost it falls for all. You don’t want to pay for the depot to depot cost other than the door to door service. Likewise, our experts will not charge for the fuel and the things they carry. We always look for the convenience of our customers. That’s why when you have any queries regarding the relocation mail us undoubtedly. We will offer an accurate solution for the issue you possessed on your removal process. Our furniture removal service is provided with cutting edge tools and equipment. It facilitates us to work in the proper way and you can have ensured safety. Plus our trolleys and ramps make us move any belongings effortlessly. Since we lift and move any things once after measuring its size no damage will cause. We always offer top-notch relocation service. It doesn’t matter whether it is a household or industrial move we try to complete it to the fullest and best. We will cover all the aspects within the reasonable cost. Just by asking minimal cost you will be rendered with an end to end service. We never hurt your savings in any case. Once we commit to time then you can witness that we will head to start on time. Plus we will complete the process without any doubt timely. All in all we never ever make our elite customers feel bad. We love to make you sit and watch our impressive work. It’s been several years since we started the packing and moving service. Till date, we stick with the reliability. Plus we handle any process in the concerned way so needless to stress out. Be it any Furniture Removalists Melbourne and suburbs offer insurance. We have confidence in our professionals they won’t make your things to fall into any flaws. Alternatively, any damage made to your things then we take responsibility. For the damage to your possessions, we pay up to $100,000. As like for the damage which happens to the public we provide public liability cost of $10,000,000. We also well-known as prima furniture removalist company since we are attached with storage facility. Apart from various services we hold, the storage facility is most beneficial and significant for the relocation process. There are some cases you aren’t willing to move the things in such occasion make use of our storage facility. Whatever the goods might be such as a household, office or else industry you can easily store. Since our storage space is fully secured under CCTV Surveillance for round the clock. Frankston North is the suburb of Melbourne which is located in Melbourne, Australia. In the distance of 38 km, this suburb is located to the South-east part of Melbourne’s central business district. The local government area of this suburb is the City of Frankston local government area. According to the 2016 census, Mount Evelyn had a population number of 5,762. The Frankston North is nicknamed as “Pines” since the former Australian Defence Force/Ministry of Housing “Pines Forest Estate”. The removal service that never makes any flaws in history is Singh Movers. We’re unique as like our process. Our professional Packers And Movers Melbourne are keen to the core. Plus your belongings will be suspiciously handled. All your things will present just the way you provide to us. We maintain radicals of each possession although it’s not fragile. We’re happy to share you about our accomplishment that we have a bunch of satisfied customers. Our endeavour is to move your belongings smooth. We achieved it till date even we alone deserve to break our own record. Be it any sorts of relocation need get our unmatchable removal services. Our style of moving will entice you because our priority over your possession is hard to find in some other removal service.